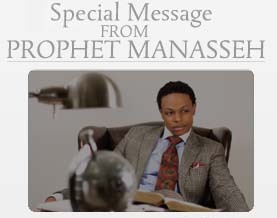 See Prophet Manasseh broadcast messages of encouragement, prays and chats with followers and shares behind-the-scenes footage and personal messages from his heart to yours. 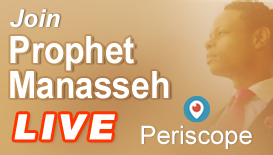 Learn about Periscope and join Prophet Manasseh LIVE! Join Prophet Manasseh LIVE on Periscope each week as he personally prays for your needs, delivers timely teachings, special messages and live broadcasts from ministry events around the world. Now you can experience each event as if you were there on your phone, tablet or computer! Already on Periscope? Follow @prophetmanasseh and on Twitter @prophetmanasseh. As you watch Prophet Manasseh LIVE, chat with him directly, send hearts, or join in the prayer and worship during live events in real time.